In 2017 and 2018, Beyond Toxics led the fight to challenge Oregon OSHA’s proposed new rules on farmworker pesticide protections. The new rules would put migrant farmworkers and their families at high risk of pesticide exposure, both in the fields and while sleeping, cooking and living in onsite labor housing. 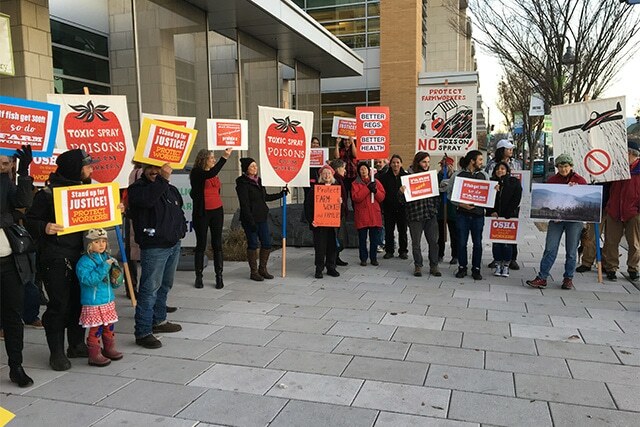 Beyond Toxics formed a coalition of Oregon’s farm and forestry worker unions and advocacy organizations, plus labor and social justice groups to force OSHA to reverse course. The Agency’s position was unacceptable!